Are you concerned about a mole or sun-damaged skin? Early detection is the key to the survival of skin cancers like melanoma. We now offer an excellent range of cosmetic treatments for skin rejuvenation. From acne, scars and dilated capillaries to wrinkles & pigmentation performed by skilled professionals. We offer comprehensive, painless, non-invasive, top-to-toe, skin cancer checks. The management of melanoma is determined by the depth of the melanoma at the time of diagnosis. Surgical excision is considered to be the most effective way of removing skin cancer. Our highly trained nursing staff provide a range of non-surgical services suitable for most skin conditions. Our highly trained nursing staff provide a range of cosmetic services at our Charlestown Clinic. What happens during a skin check? A skin check is a pain free 10-15 minute appointment where a dermatoscope is used to closely look at any spots over the body. If any spots look concerning, the doctor may take a photo and/or take a biopsy of the lesion to be sent away for a pathologist to determine its exact nature. A skin check is generally a 10-15 minute appointment. It is sometimes unavoidable to spend longer with patients who have complex issues with their skin. Please keep this in mind if your doctor is running late on the day. Do I need a referral for a skin check? You do not need a referral for an appointment, however if you are concerned and your GP has recommended you need an urgent appointment, we will be more than happy to accommodate this request. 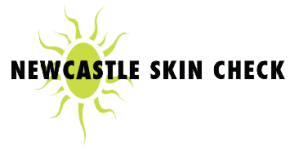 Dr Azzi moved to Newcastle after graduating from the University of Sydney in 1989 and has been specialising in Skin Cancer Medicine and Surgery since 2000. A local to the Hunter Valley, Dr Andrew Brunton graduated from the University of Newcastle in 2007. Dr Hilary Brown completed her medical degree at the University of Newcastle, graduating in 2006. She undertook her junior doctor training the Hunter New England area. Born and raised in Charlestown, Dr Ben Nicholas started his working life at BHP. After retraining in Medicine, he joined the team at Newcastle Skin Check in 2016. With the most experienced doctors in skin cancer and state of the art facilities, our patients are confident that their care is in the best hands.